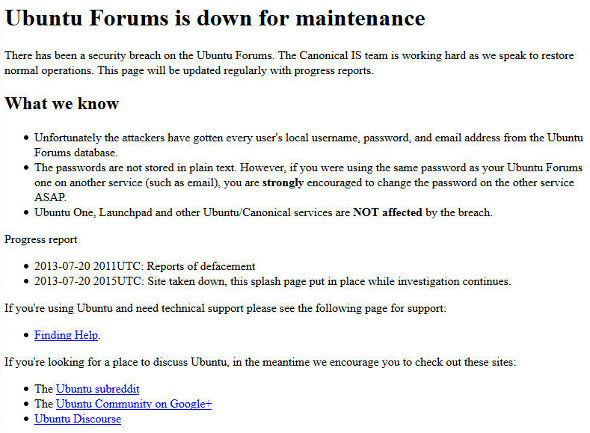 Ubuntuforums.org, The popular Ubuntu Forums site, has posted a message on its index page, informing its near 2 million users that it has suffered a serious security breach. “There has been a security breach on the Ubuntu Forums,” reads the page. 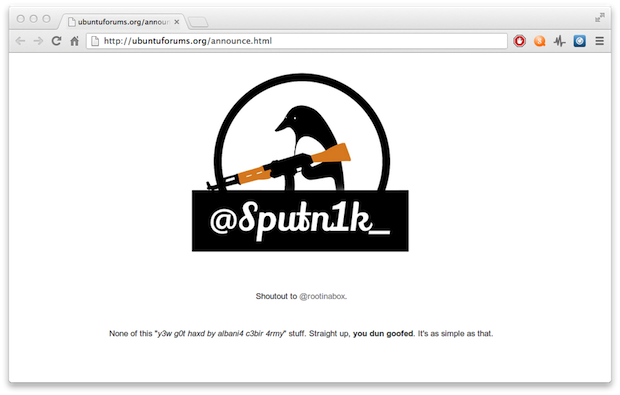 The site was defaced by hacker with Twitter handle "Sputn1k_" and Unfortunately the attacker have gotten every user's local username, encrypted password, and email address from the Ubuntu Forums database. “The Canonical IS team is working hard as we speak to restore normal operations.” page said. Canonical advises users who have used their same forum password on other sites to change it immediately. "Ubuntu One, Launchpad and other Ubuntu/Canonical services are not affected by the breach," company stated.